At UrtheCast, we’re committed to constantly improving our web platform — the UrthePlatform — as we pursue our goal of democratizing Earth Observation (EO) imagery data. Today, UrtheCast is excited to announce that two new datasets will soon be available for the thousands of current UrthePlatform users, and all new users going forward. Our users have been asking for more data, from more sources, and we’ve been actively working to deliver just that. 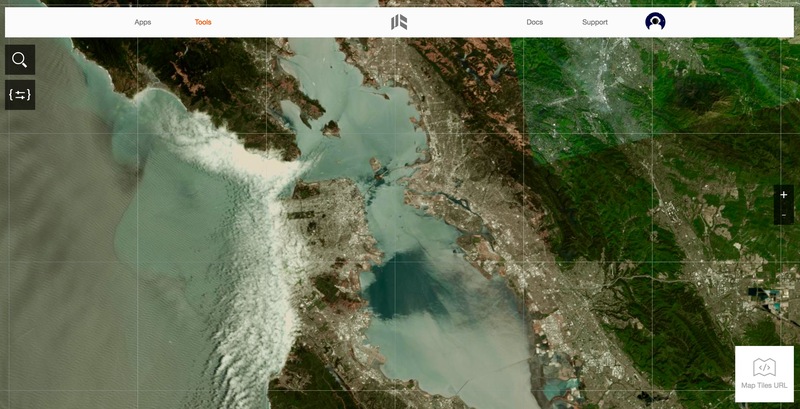 For the first time, UrtheCast’s Deimos-2 will be incorporated into the UrthePlatform’s offerings, beginning with some stunning imagery from the San Francisco Bay Area, with additional Deimos-2 data of other areas expected to be added in the future. Our Deimos-2 satellite provides cost-effective and dependable 75-cm pan-sharpened high-resolution imagery that is valuable for a wide variety of applications, including agriculture, environmental monitoring, and mapping. What’s more, UrtheCast expects to soon make Sentinel-2 data, from the European Space Agency’s Copernicus Programme, available for UrthePlatform users. From environmental management to improving our understanding of the effects of climate change, customers will be able to harness this Sentinel-2 data for a variety of applications, such as environmental monitoring programs. Once flowing, this data will provide thousands of UrthePlatform users with the ability to not only perform change analysis over time, but also monitor areas and apply water and vegetation indices. In recent months, our engineering team in San Francisco has continued to optimize the UrthePlatform by integrating development efforts more closely with the rest of UrtheCast’s software engineering team based at UrtheCast’s headquarters in Vancouver, Canada. With the operations and development of the UrthePlatform and UrtheCast’s other products and services now strategically aligned and closely integrated, our UrthePlatform team is now being led from, and largely based in, Vancouver. This integrated team, which will continue to include a presence in the San Francisco Bay Area, will further improve the UrthePlatform by adding new functionalities and datasets to help our customers extract and tap the true potential of this growing data repository. Sentinel-2 and Deimos-2 join the growing number of sensor data offerings on this increasingly robust EO platform — a sensor system that already includes Deimos-1, UrtheCast’s medium-resolution Theia sensor on the International Space Station, and the USGS’s Landsat 8. This blog post contains certain information which, as presented, constitutes “forward-looking information” within the meaning of applicable Canadian securities laws. Forward-looking information involves statements that relate to future events, containing words such as “plan” and “expect”, statements that an action or event “will” occur, or other similar expressions and includes, but is not limited to, UrtheCast’s plans to add or continue adding Deimos-1, Deimos-2 and Sentinel-2 imagery to its UrthePlatform, and its expectations regarding additional functionality to the UrthePlatform. Such statements reflect UrtheCast’s current views with respect to future events and are necessarily based upon a number of estimates and assumptions that, while considered reasonable by UrtheCast, are inherently subject to significant uncertainties and contingencies. Many factors could cause UrtheCast’s actual results, performance or achievements to be materially different from any future results, performance, or achievements that may be expressed or implied by such forward-looking statements, including, among others: any failures or interruptions in the UrthePlatform infrastructure or the Deimos-1, Deimos-2 or Sentinel-2 satellites, as well as those factors and assumptions discussed in UrtheCast’s annual information form dated March 29, 2016, (the “AIF”), which is available under UrtheCast’s SEDAR profile at www.sedar.com. Forward-looking information is developed based on assumptions about such risks, uncertainties and other factors set out herein, in the AIF, and as disclosed from time to time on UrtheCast’s SEDAR profile. UrtheCast undertakes no obligation to update forward-looking statements except as required by Canadian securities laws. Readers are cautioned against attributing undue certainty to forward-looking statements.